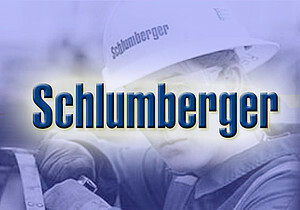 Schlumberger has granted to the Technical University of Crete 5 licenses of its petroleum engineering software, carrying an equivalent commercial value of 4,676,806.40 $. The donation will allow the students following the Petroleum Engineering MSc course to get familiar with the software thus getting an advantage in their future careers as the software is a standard in the oil and gas industry. Through this donation, the postgraduate students will have the chance to get experience in working with the leading software in petroleum exploration and production through familiarization with the following modules: PETREL Geology & modeling, a suite of tools including, petroleum systems modeling, well correlation, mapping, and geocellular modeling, PETREL Geophysics, a productivity environment with integrated pre- and poststack geophysical workflows, PETREL Reservoir Engineering, a fully featured reservoir simulation pre- and postprocessing environment with powerful visualization capabilities, ECLIPSE, the industry reference black oil, compositional and thermal streamline reservoir simulator, PIPESIM, an analysis software for well modeling, nodal analysis, artificial lift design, pipeline, and process facilities simulation and MALCOM, which enables the processing and interpretation of analytical chemistry data.